This section is provided for those persons who have never connected to a Unix-based server before. The primary method used is a protocol called Secure Shell or SSH. Note: If you have connected to Linprog servers before, and if you are now having trouble logging in, it may be that you need to clear old cached security certificates. See the Linprog Certificates entry for help. Once you have created your account, replace newacct with your own CS account name. As a student taking Computer Science course(s), you are permitted to use department owned SSH Client software Tectia. Please download Tectia.zip from this link and unzip it into a local folder. Run either x86 msi or x86_64 msi based on your operating system and follow its installation instructions. Note: You must be on CS or FSU network to download this software. Distance learning students, please open a helpdesk ticket for Tectia downloading or Log into shell.cs.fsu.edu with your CS id. You will see download credential below the server banner. 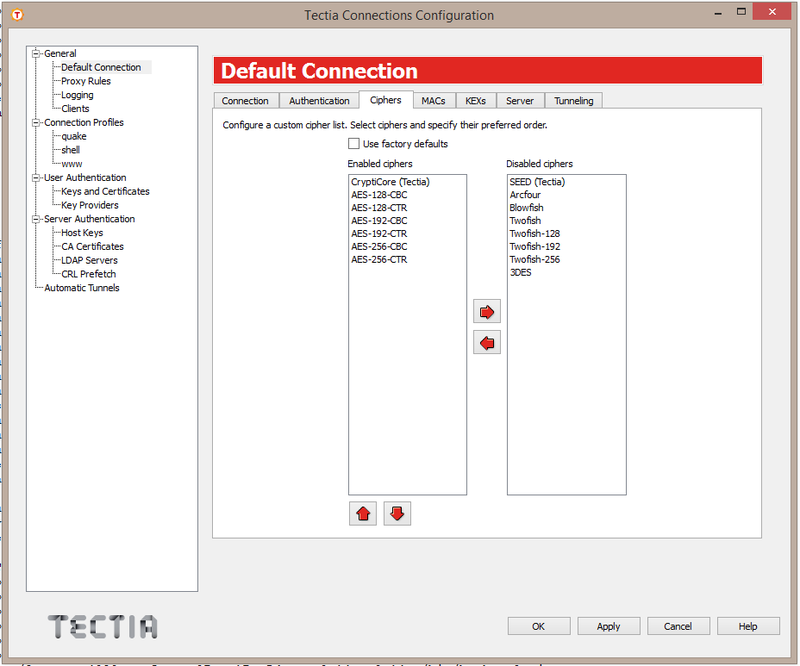 Important Note: You must unzip Tectia.zip into a directory and then run installation from that directory. DO NOT run installation without unzip it first. 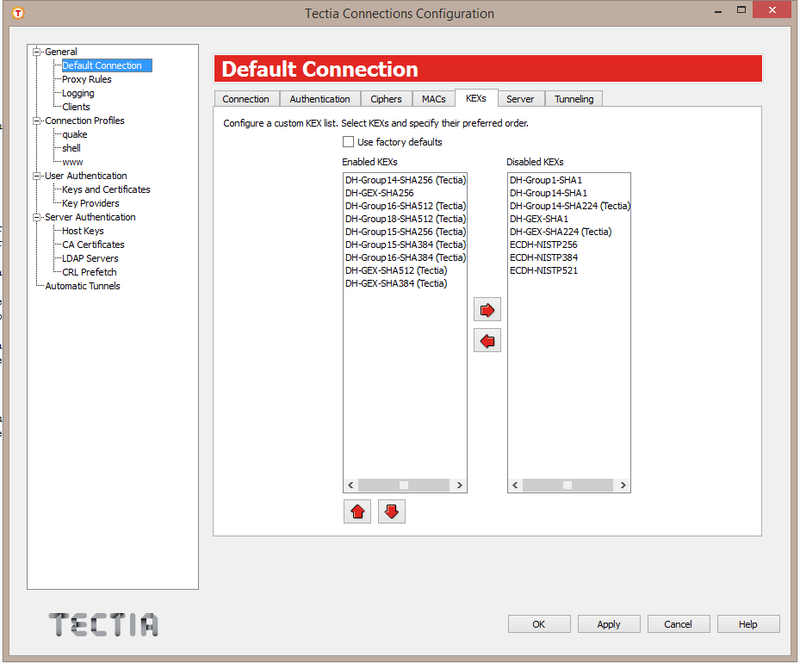 If you install Tectia without unzip it first, you will have to uninstall it, restart your computer, and reinstall it after unzip it. 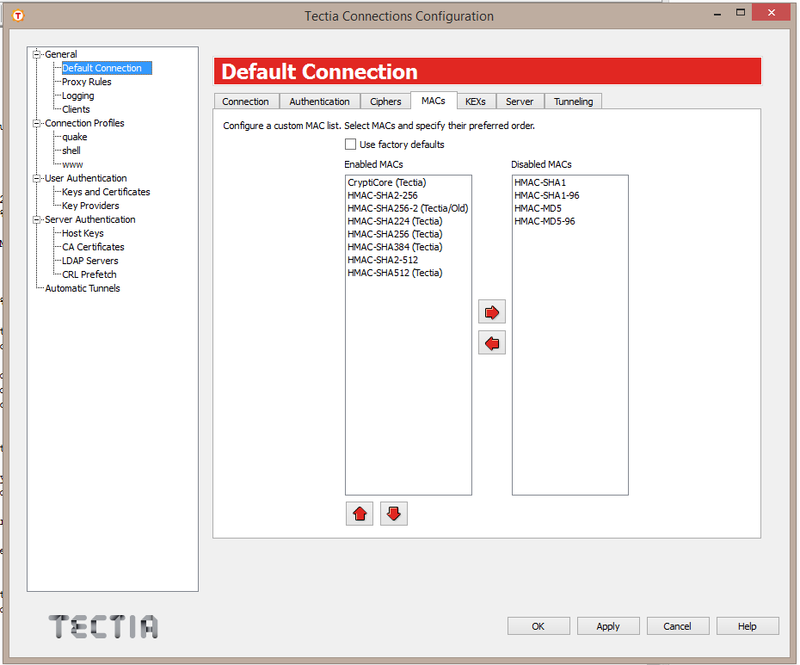 Before making your first connection, run the “Tectia – SSH Terminal” program as administrator (right-click on the program name in the Start menu or the desktop icon and select “Run as administrator”, and select “Yes” on the following popup), select “Edit” -> “Tectia Connections…” from the menu bar, and change your Default Connection settings to match those in the following screenshots. Note that these are NOT the default settings! Next, click “Help” -> “Import License File…” and select the “stc64.dat” file you downloaded with the installation file. If you cannot see the license file while browsing in the file selection window, it is likely your computer added a hidden file extension, which you will need to remove before you can import the license file. This would bring up the Tectia. You only need to this once. 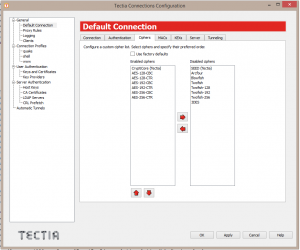 From that point forward, Tectia should run by double click the desktop icon. When you connect to a new server for the first time, your SSH client may prompt you to save the identity information of the server for future connections. Should the server identity certificate change, your client may warn you about the change and prevent you from connecting. If you want to verify the identity of the server, you can compare the key fingerprints of our most common servers. If the server’s identity has changed (because of software or security upgrades), you may have to clear your certificate cache. Now you can move on to the next part of the tutorial, Creating a CS account.